Despite being entrenched in conservation programmes, doubts around trophy hunting started a long time back. Some argue that distaste for sport killing began when Theodore Roosevelt returned from East Africa in 1909 with his hunting bag of over 500 trophies, including 17 lions, 11 elephants and 20 rhino. Back then, indiscriminate hunting had already placed many of the continent’s charismatic species under threat. Today, and with many of these same species still facing the same plight, the question now is whether trophy hunting has any role to play in securing their future in protected areas across the continent. And the challenge comes against the backdrop of an industry that is increasingly defined by poor regulation, perverse practices, corruption and a lack of transparency, and has its participants, the wealthy collectors of animal heads and horns, going after a dwindling gene pool that everyone else is trying to secure. And this is not to mention what may in the end be one of the most telling factors; data in the USA and other countries showing a decrease in the number of young hunters, along with increasing opposition to hunting from the general populace. Few have been as forthright in their questioning as Dan Ashe, a former Director of the US Fish & Wildlife Service. “The argument that we need to hunt endangered animals, to conserve them, is old and tired,” he said earlier this year. Ashe went on to highlight a fundamental issue of concern: if hunting of endangered species is not permitted as a conservation option in the USA, why should it be promoted as such across Africa? “If elephants were native to the US they would not be hunted. And neither would lions, rhinos, or leopards,” he pointed out. His sentiments are shared by a growing number involved in conservation. Among them is Dereck Joubert, a renowned wildlife film-maker and CEO of the Big Cat Initiative who says that “the case for hunting gets thinner every time it’s tested”. Typically, the wildlife research community have tended to avoid the arguments that swirl around trophy hunting, sticking instead to their specific scientific endeavours. However, whatever support they give, mostly comes with strongly worded caveats that hunting must be ‘well-regulated’, ‘transparent’ and make definitive ‘contributions’ to protection. These are hardly ringing endorsements, but they defer to the thinking that in a vacuum of alternative solutions to replace trophy hunting as a land-use option for conservation, they have little choice but to accept or tolerate it. And research in Zambia, Zimbabwe and Tanzania by leading carnivore experts have fingered unsustainable trophy hunting as a primary reason for declining predator populations. And the position of governments is also beginning to shift. We still see institutional backing in certain quarters, the European Union and some African countries for example, but the fact that countries such as the USA, France, Netherlands and Australia have begun to scrutinize the efficacy of legislation and procedures for specific African countries, and the impacts of hunting on certain species is a significant change. There has also been a shift in Africa. Botswana stopped all trophy hunting in 2013, and more recently the Tanzanian government has begun to question the role and impacts of its trophy hunting industry. And in South Africa, tourism coalition groups from around the world have mobilised against trophy hunting in some of the private reserves bordering the Kruger National Park. In essence, the nub of the debate boils down to hunters needing to justify their sport. And they do this by proffering that the best way to protect species in Africa is to kill them. 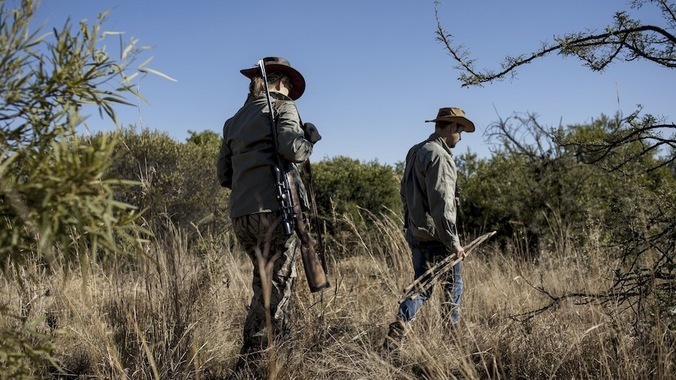 In the process, they claim hunting deals with poaching in protected areas, and that money trickles down to protect species and habitat as well as uplifting rural communities. Photographic tourism is a far more effective and sustainable way of achieving all these objectives, and it happens without the collateral damage that comes with killing the gene pool. This stance by no means suggests that every component of the so-called non-consumptive tourism sector is in good order. Far from it, as we only need to look at the madness during the Great Migration crossings in the Masai Mara, the over-crowding at predator sightings in other parks and reserves, and the cruelty of the cub-petting sectors as examples to see that. However, in the longer term, trophy hunting may well be inconsistent with what conservationists are trying to achieve. Driven by the passionate demands of those involved in the killing, the activity is defined through the constant search for the best trophies. Because of this, the hunting lobby will always promote their own interests over and above the long-term interests of the species and its habitat. Part of the problem is that conservation of protected areas gets defined through a two-option lens promoting the notion that if certain regions don’t have trophy hunting, they are then doomed to be lost forever. We should no longer be obstructed by this narrow logic; as sure as wind and solar have proved to be viable and sustainable alternatives to fossil fuels, there are other options to protecting habitat and species. We have just not put our minds to it yet. In the end, using trophy hunting as an indicator of conservation success is a mismeasurement of what we are trying to achieve. It’s much like using growth domestic product (GDP) as an indicator of human well-being across the planet. Both are crude and short-sighted tools that tell a fraction of the story while concealing the damage. We all agree that Africa is in urgent need of greater funding at various levels, and in the face of declining populations and biodiversity, better ways of caring for the environment. As was eventually the case with fossil fuels, if undertaken as a collaborative process by the wider conservation, scientific, ecotourism, governmental and donor communities, alternatives to trophy hunting can be found. And we should not expect immediate changes or results. Transitions are a process requiring significant adaptive challenges by all stakeholders and at various levels.